Most family law cases are decided by the family court judges. But there is a before that time that if used well and prepared for can give you an advantage. Before though you see a family court judge you will go into family court mediation. Getting prepared for Family court mediation well and thoroughly can spare you a huge amount for later time stress in your custody dispute. We prepare ourselves for all kinds of natural disasters – earthquakes, wild fires, even tsunamis. In southern California, most of us have an escape route in case of wild fires. Here in San Diego, we have marked routes along the coast in the event of a tsunami. We realize the value of preparation in virtually every area of our lives. Yet, in the emotional roller coaster that any family court case can be, many of us are either distracted or so overwhelmed that we don’t prepare for this very important event. Don’t be lulled into the false sense of certainty that “truth will prevail” or that the result will OF COURSE (!) be fair and sensible. What Happens During Custody Mediation? The mediation process usually takes place in the courthouse itself, but not in a courtroom. The parents and the Mediator meet for a couple of hours. No lawyers, children or witnesses are allowed unless by special request of the mediator. The mediator is a mental health professional who is knowledgeable about custody and visitation issues. Each parent may be allowed to show evidence to the Mediator. These rules are changeable, so be sure to check local court rules.) Each parent explains to the Mediator what that parent believes will be the parenting plan which is “best for the children,” and why. The Mediator may offer an impartial opinion on your position, then give the other side an opinion about hers. Or the mediator may be poker-faced about what the recommendations will be and tell you each to wait for the report. Most often the family court judge will follow the recommendations of the family court mediation. This preparation for this meeting is the first most important one in your custody dispute , do this well and things will more likely fall into place. In California we don’t have juries in family court — haven’t had for as long as I have been in practice, and I think for a good many years before that. There was a time, when pretty much every conceivable kind of legal proceeding involving a jury, perhaps except probate. But no, there are no juries in family court, the judge has pretty much the final word. Actually it pretty much comes down to one judge – that is the judge who hears the case at the trial court level. Probably fewer than 3% — may be fewer than 1% actually of all trial court decisions in family court and up being appealed to the court of appeals, and very few of the case that are appealed actually end up being reversed, so the trial judge pretty much ends up having the final word. Previous post: What should I know before Family Mediation at court? 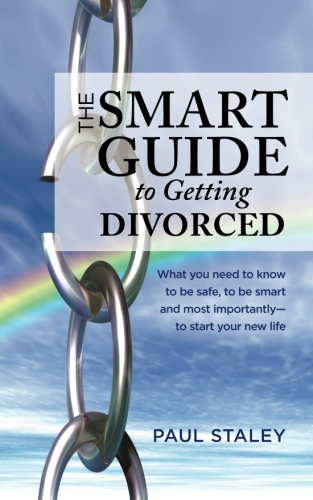 Next post: Divorce without a lawyer?